High-achieving students don’t forget when a report is due or arrive at an advanced math class without a calculator. These kids have learned the benefits and importance of having good organizational and time-management skills. Through trial and error, they have also learned what study habits work best for them. These students, with their parents’ and/or a professional’s help, have unlocked the secrets to being super-motivated, enjoy studying, and know how to get results. Here are 6 steps a parent can take to increase their child’s academic success and self-confidence. Children need a desk-like area designated for studying. This area should be comfortable, inspiring, organized with supplies within arm reach, and away from any distractions. However, still central to a parent so the child can be monitored if he/she has questions or needs help staying on task. Consider having this homework station located in the home office, living room, or guest room. A child may be too tempted to play with toys, get distracted by other family member’s conversations, or turn on the TV if studying in their room, family room, or kitchen. Eliminate reasons and excuses for a child to procrastinate by having the homework station fully stocked with study materials, pencils, pens, sharpener, scissors, tape, calculator, dictionary, and other needed supplies. Consider having a side table or rolling cart stocked with healthy snacks and water to keep the brain charged and running efficiently. The working surface should be cleared of all clutter and provide ample space for open books and binders. Some children enjoy listening to music or watching TV while studying, but parents need to consider their child’s learning style and the type of media he/she is tuning in to. Parents who enforce distraction free work are on the right track. According to three recent studies, spending too much time watching TV diminishes kids’ ability to learn, their academic success, and even their chances of graduating from college. Depending on your child’s learning style and if they insist on having something on, choose songs without words such as soothing, classical music. When determining the best time to do homework, consider your schedule and your child’s temperament and personality. Some children need a break when getting home from school, while others lose steam if they don’t do their assignments right away. Experiment with different times to do homework and see where you have the greatest success. Once the study time has been determined, create a consistent routine based on what works best for your child. Try to avoid saying statements like, ‘Let’s get your homework out of the way so you can play’. 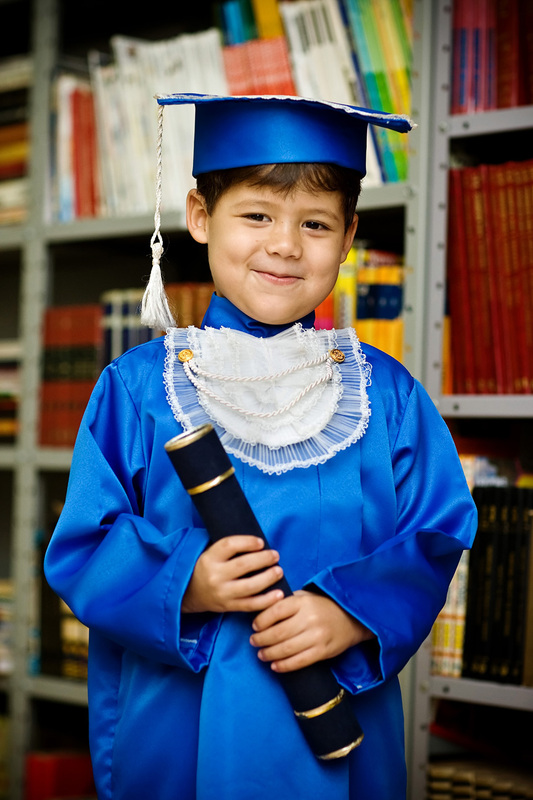 Children tend to see academics as a negative experience and as a chore. Instead, value their schoolwork and present it as an endeavor that sparks your curiosity. Have conversations about their school work and your work projects. Be sure to encourage the lighter side of learning by playing educational and word games, along with doing jigsaw puzzles and playing Monopoly. Give your child the freedom to choose when to do leisure reading. When kids are doing something they enjoy they retain more information. Having and using a planner is one habit most high achievers swear by. Just like adults, children should get into the habit of writing down important dates, assignments, and other tasks that need to be completed. Planners visually organize information for students, so they can see when papers are due, when tests will be taken, and when the next big game is scheduled. Encourage children to take on the responsibility of beginning and completing homework by creating a system such as a checklist. When a child starts receiving long-term projects, help he/she map out the work by using their calendar so he/she learns good time management and organizational skills. Break down large projects into smaller steps/tasks and assign a specific day to take action on them. Using a checklist will help the child and the parent to make sure he/she is staying on track. Children are overwhelmed with information and after school activities these days. It is imperative a child has one calendar to managing their school work, personal life, and home life. To ensure academic success, make sure children have time to chill-out and unwind each week so they can de-stress and use their imagination. By getting children into the habit of scheduling free time for hobbies and to play with friends, children learn that life isn’t just about work. It is about having fun, building relationships, and enjoying oneself.